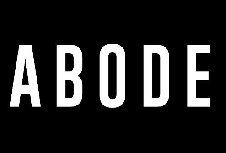 UK party Abode will be joining forces with Do Not Sleep this year to take the Thursday night slot in Amnesia Ibiza from 14 June to 27 September. Both brands bring with them big name artists and residents that promise to bring a new generation of clubbers to the dancefloor. Expect the usual mix of esteemed and much-loved residents to play each week. The vibe will be forward thinking, no nonsense underground house & tech, with immersive production and huge line-ups that bring something fresh to the island, all in the vast and awe-inspiring surrounds of the planet’s most celebrated club. Line up includes Steve Lawler, Solardo, Darius Syrossian, Santé, Nic Fanciulli, Martin Buttrich, Nick Curly, Mathias Kaden, Alan Fitzpatrick, Charlotte de Witte, Catz 'N Dogz, Franky Rizardo, Dj Sneak, Doc Martin, Nathan Barato, Cassy, Josh Wink, Heidi, Yousef, Anja Schneider, Robert Hood, wAFF, Dusky, Sonny Fodera, Luigi Madonna and Guti.